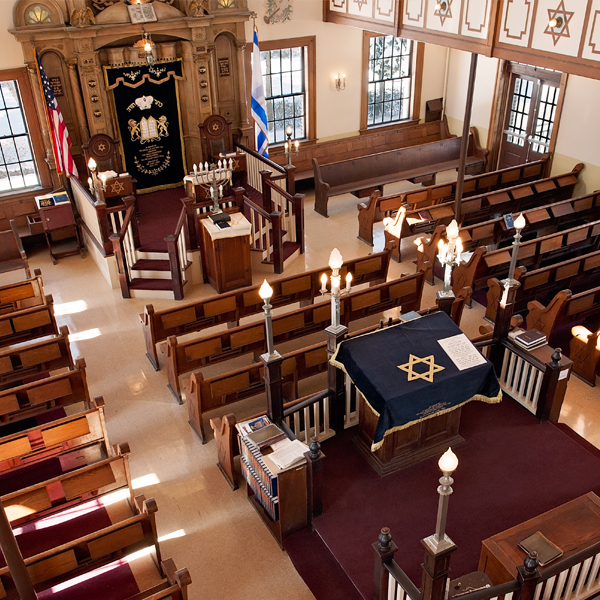 Located in a New Haven Landmark building listed on the National Register of Historic Places and honored by the Connecticut Trust for Historic Preservation, Orchard Street Shul was reborn in 2010 as a traditional yet “post label” synagogue after many years of disuse. We continue to build a dynamic community made up of Jewish people of all ages, from all backgrounds and levels of affiliation. We seek to appeal to the Jewish self in us all, so we can join in a community in which every member of our family finds comfort, meaning, and spiritual connection. We celebrate our Jewishness, and yours. We invite you to join and experience our spiritual haven where you will be welcomed as family, find depth, meaning, and a new appreciation for Jewish life. 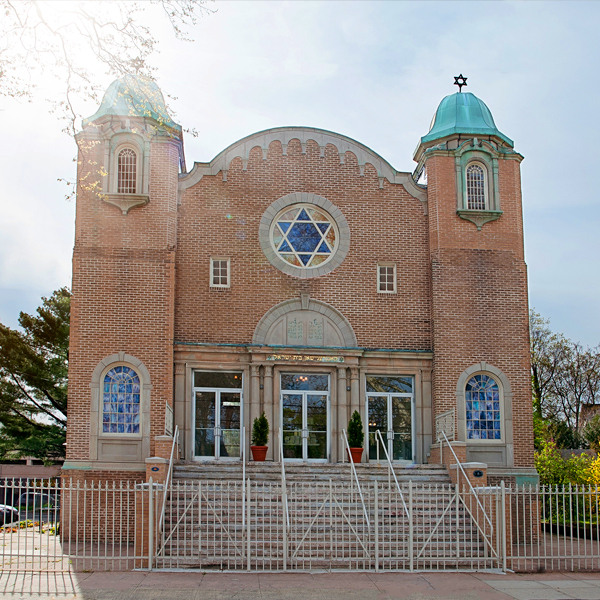 Our beautiful Eastern European Ashkenazi style synagogue was built in 1924 with a unique blend of Federal style and Eastern European architecture seen in our façade. The Shul stands proudly as a symbol of a once vibrant Jewish neighborhood, adjacent to Yale University and both campuses of Yale-New Haven Hospital. Today, the Shul is an anchor of New Haven’s emerging medical and biotech corridor. Jews of all backgrounds make our Shul happen, bringing Jewish life back to an historic neighborhood, in the only synagogue remaining of the dozen that once served our area. Now the only Shul servicing the downtown New Haven community, the sounds of Jewish life are once again regularly heard in this restored gem. You are invited to join your prayers with ours. Read more About Our Shul, Shul History and Shul Restorations, and check out our Photo Gallery. 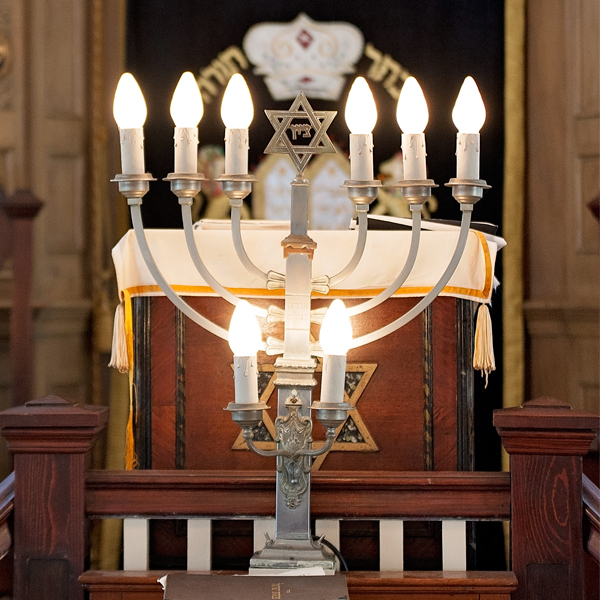 We hold services every Shabbos at 9:30 AM, a Carlebach Kabbalat Shabbat minyan on the First Friday of the secular month (see posted time depending on season). We welcome your membership, and contributions, but most importantly we welcome you. There are no tickets to attend our services and, please, you should always feel welcome to be part of our family.